Once the waters of Lake Malawi in southeast Africa were teaming with fish. So much so, that they overflowed into the nearby rivers and streams. Fishermen could catch fish with ease and in no time at all. That is no longer the case. Since the early 2000s, Lake Malawi (which takes up around a third of Malawi’s land mass) has seen a significant decrease in fish stocks due to a growing population, increasing number of fishermen, overfishing and bad fishing practices. This is a great issue, as for years the fish in the lake has provided a primary food source to the residents of its shores. 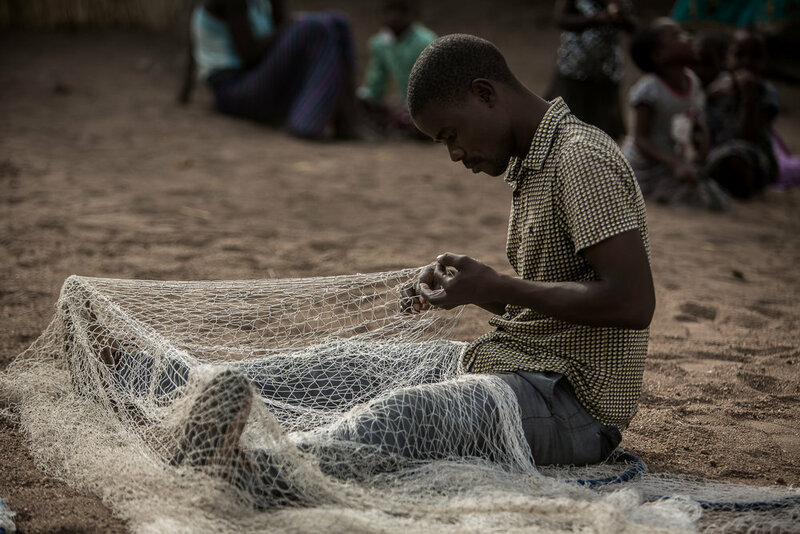 Not only that, but the fish industry in Malawi supports over 1.6 million people directly and indirectly through ancillary activities, such as fish processing, fish marketing, boat building and engine repair. The dwindling of fish resources is a cause of major concern and could have disastrous implications for fishermen, their families, and the ecology of Lake Malawi. But with the help of USAID through the implementation of its FISH (Fisheries Integration of Society and Habitats) project, local communities are taking ownership of their resources and conserving the environment. In 2014 USAID began the FISH Project, a program focused on providing sustainable management of the fish resources through training and awareness to the local communities. The project empowers communities to be responsible for the lake through the creation of Beach Village Committees (BVCs). “The Beach Village Committee is a group of people chosen by the community to help with the conservation of fish resources,” says fisherman Jacob Raja, who is chairman of his local BVC. The Beach Village Committee operates using bylaws which were agreed upon by the community, including the chief, and approved by the Malawian government. There are currently 210 community-based organisations (CBOs) such as the BVCs that the FISH Project works with. Both Stella and Jacob are happy to report a decline in illegal fishing and an increase in fingerlings (baby fish) since the formation of the BVC. “We see small fish swimming in the shallow waters of the beach, which shows that fish are multiplying in the deeper waters,” says Jacob, adding that they hope by 2020 to see a full restoration of fish stocks. Another part of the project has been the encouragement of alternative income-generating methods, through the WORTH model. This provides the community with financial knowledge and literacy training. They have learnt how to form village savings and loans associations (VSLAs), climate-smart agriculture, about using Improved Cook Stoves (ICS) which rely on less firewood and are better for the environment. They have learnt how to process fish in a better way, the importance of safety on the lake, and how to look after the lake from an environmental perspective by changing farming practices to use manure instead of fertilizer and keep the beaches clean. Background: In 2014 experts began to realize that the fish stocks in Malawi’s three biggest lakes were declining considerably due to overfishing and climate change. In Malawi, fish constitute 45% of animal protein consumed, 4% of GDP, and provide employment to more than 1.6 million people. The project aims at empowering communities and providing them with a sense of ownership and responsibility for the lakes and their ecosystems by providing local governing bodies with the legal framework to improve fisheries management and biodiversity conservation. The creation of Beach Village Committees (BVCS) and their working in coordination with the government is a milestone in for participatory resource management in Malawi. 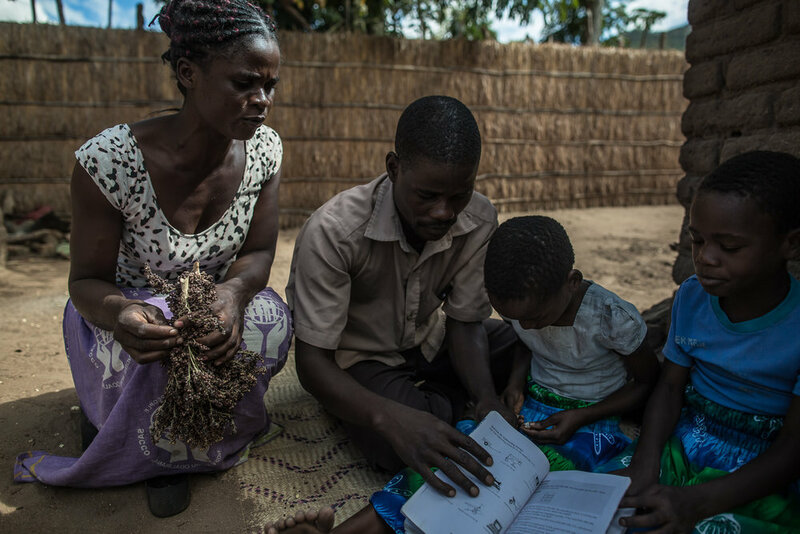 Brief: In 2017 USAID/Malawi held a contest with its Implementing Partners to identify three interventions that are: a) programmatically successful, b) replicable or scalable, and c) are positively impacting the lives of Malawians. NAMUH was tasked by USAID to produce a series of three 3-4-minute-long films based on their selected successful programs in Malawi. The final film focused on the FISH Project, which began to prevent the decline of fish stocks in Lake Malawi. Challenges & Result: We wanted to tell the story of the Beach Village Committees, who are protecting fish stocks and supporting their communities. We also wanted to lay out the gravity of the problem and how Malawians are taking their future into their own hands. USAID’s partner and implementor on the ground PACT provided NAMUH with biographies for a couple of possible subjects. They also arranged for us to meet with members of the Beach Village Committee. At the meeting, we were able to deduce from a few interviews two options as our key subject for the film—a fisherman called Jacob and a fish processor called Stella. We were not sure who would be the stronger candidate, so we chose to interview and film both of them, either to include both in the film, or focus on one of them. Working within the fisher folk’s schedules, we filmed them heading off to fish and patrol at sunset, coming back later in the night to sell their catch. We also captured both subjects at home, showing their sources of income generation and family life. We were able to create a compelling four-minute-long film focusing primarily on Jacob, a member of the BVC in Mangochi and a fisherman. 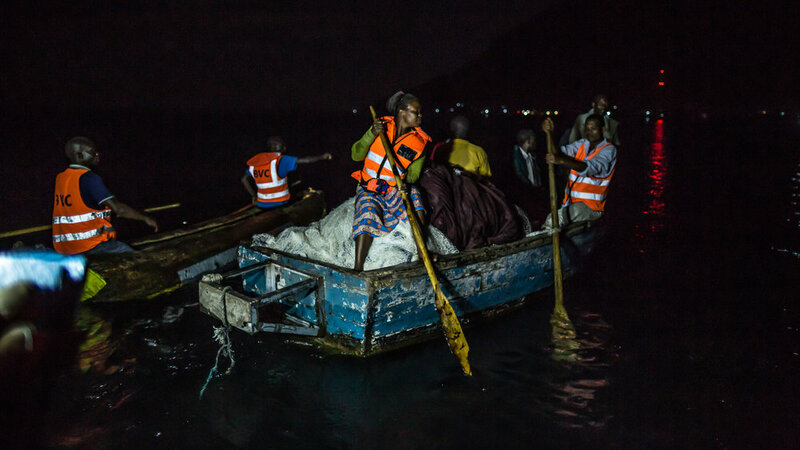 The film highlighted the problem of dwindling fishing stocks, as well as laid out the solution of local communities realizing they need to protect and take ownership of the lake to create lasting change in the management of Malawi’s fish stocks. The film came together with gorgeous footage (drone and handheld) of the various activities the fisher folk perform.